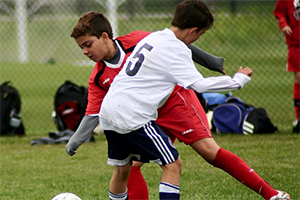 The Goshen Stars Soccer Club exists to grow a healthy community and promote the development of select/travel teams for Goshen's more highly skilled youth players in order to maximize their soccer potential. 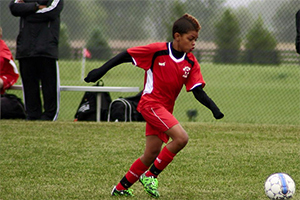 We are part of Indiana Soccer and compete in the Indiana Soccer League. 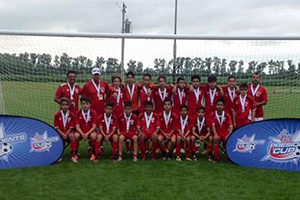 Goshen Stars originated in 1995 as a part of Goshen Youth Soccer Organization. For the first 12 years our primary sponsor was Rollpak Corporation where we practiced and played our home games. In 2008 Goshen Stars Soccer Club was incorporated and received our 501 (c)3 status. In the Spring of 2012 we moved to our home fields at 20792 CR 36 on the South West side of Goshen. We currently have 20 teams and approximately 250 players participating in our programs. We are an entirely volunteer organization which allows us to make our programs affordable for more players to participate. We encourage family participation and many of our coaches and managers are parents of players.